Imagine you’re taking it easy when you’re tucked up in bed every night? Sleeping soundly without a care in the world? Sorry to shatter your illusions, but your body is probably working harder than at any other time during the day or night. In fact, it’s going through four very distinct sleep stages that are vital for our wellbeing. And because our bodies are so clever and well designed, while some are important for our mental and brain health, others are like a recovery gym session for our physical selves! This stage is the transition time between being awake and falling asleep when we’re in a light sleep with no rapid eye movement. It’s the stage that people drift into when they catnap. It lasts around five to ten minutes at a time and is light and easy to wake up from. If measured, during this time our brainwave activity would show a relaxed state with occasional alpha and theta waves. This means our minds are still somewhat alert, we might have dreams but also be aware of our surroundings and any noise or activity going on. During this time, our body is preparing itself for the later and more restorative sleep stage. Our breathing, heart rate and other body functions slow. Body temperature and blood pressure drops. Brainwaves lengthen and our body goes through something known as ‘sleep spindles’. This is when our brain activity peaks, making it an essential time for memory formation and learning. Although we spend around fifty per cent of our sleep time in stage 2 sleep altogether, the actual time spent in this stage is around 20 minutes per cycle. While it’s still a light sleep, it is harder to wake someone in this stage of sleep than during stage 1. We spend a quarter of our sleeping state in stage 3 which kicks in about 40 minutes after we fall asleep. Scientists now include what used to be stage 4 in this stage. During this time – which ranges from 45 to 90 minutes – our brains produce long, slow waves called delta waves. A person asleep won’t be woken easily. This is when we’re almost frozen in sleep and completely oblivious to outside noise, light, sounds or movement. Our heartbeat and breathing is at its lowest levels while our body heals itself by releasing human growth hormone which plays an important role in cellular repair. Our immune systems are strengthened, injuries healed, muscles (and in children, bones) grow, tissue is repaired or regrown and built up waste products are flushed away. This is what leaves us feeling refreshed the next morning and brains ready for another day of thinking and learning. The deepest sleep occurs in the first two cycles of this stage 3 sleep and as our bodies continue through the whole sleep cycle again, the time we spend in it shortens. Interestingly the amount of N3 sleep we get decreases with age. Elderly people have very little N3 sleep whereas very young children spend most of their sleeping time in this stage. If we’re woken at this point, we’ll probably be very disorientated. It’s also the stage during which people with sleep disorders will sleepwalk, wet the bed or have night terrors. On average, we enter into this active stage of sleep about 90 minutes after first falling asleep and we remain in it for about an hour. In one night, adults experience around five or six REM sleep cycles and this is when we dream the most. This stage becomes longer as the night goes on. As the name – rapid-eye movement (REM) sleep – suggests, our closed eyes move around a lot during this stage. This is because our brain is active. At the same time, our body temperature is at its lowest, breathing becomes rapid and irregular and heart and blood pressure increase. But conversely, arms and leg muscles experience a sort of paralysis that keeps us from acting out our dreams. This is the stage that stimulates the part of the brain associated with learning and processing emotional responses. 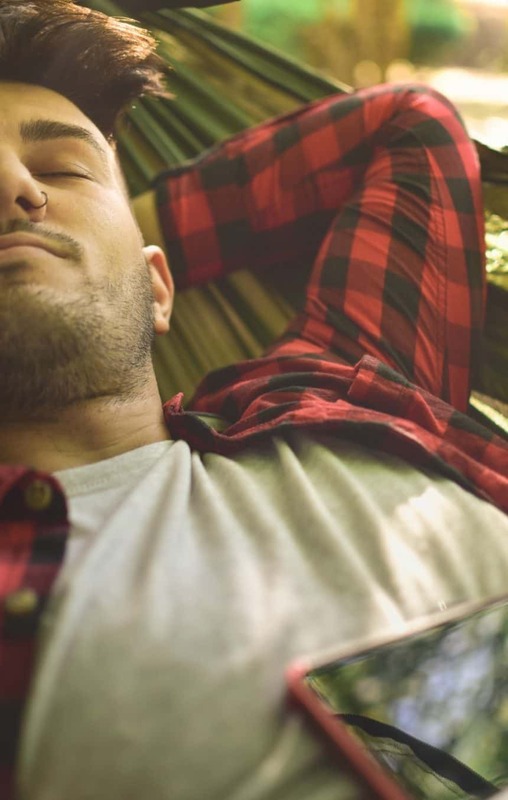 If you want to remember something, get to grips with a problem that’s been bugging you or work through a difficult and emotional issue, REM sleep is what you need. Some experts say it’s the most important sleep stage. And if you don’t get enough of it, you could struggle with memory problems, mood swings, mental health issues, impaired immunity and problems concentrating. So, tomorrow morning, when you wake up from a hopefully refreshing sleep, give yourself a pat on the back for a good night’s work.